Dental veneers are often chosen by the best dentists because of their versatility in application. They can be used to whiten teeth that do not respond to traditional whitening methods, as well as to correct teeth that have become excessively worn, chipped, or cracked. In addition to that, veneers can be used as something of an orthodontic “cheat” to instantly create a straighter smile where misalignment is mild. Dental veneers are thin shells made from porcelain and, as such, are almost as durable as your natural teeth in terms of eating and biting. You should care for them accordingly. Dental veneers won’t likely last the rest of your lifetime, however. With proper care, most veneers will last anywhere from eight to 15 years, when they’ll need to be replaced with a fresh set. How long they last exactly will depend greatly on your personal oral hygiene and the general health and strength of your natural teeth. Dental veneers are incredibly effective when placed by a top dentist and cared for properly at home. They are custom created for each individual tooth, and they are incredibly difficult to distinguish from natural teeth once placed. It is vital, however, to be sure that veneers are truly the best option for your teeth. If you have weaker teeth or more severe dental problems, you teeth may require other options such as bonding or dental crowns. For more information about dental veneers and other cosmetic dental solutions, contact us at Park 56 Dental . Check out our website to learn more about our services, then call (212) 826-2322 to schedule your appointment with one of the best cosmetic dentists in NYC. 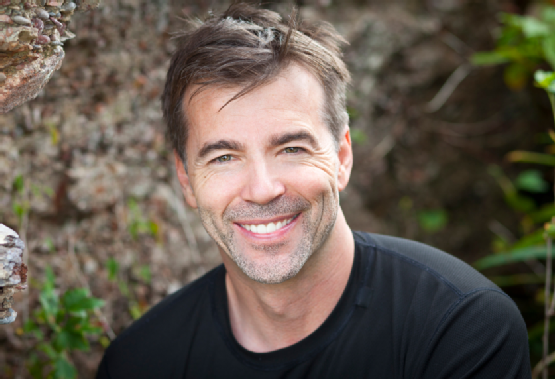 Dr. Terry Jobe here at Park 56 Dental truly is one of NYC’s top dentists. He’s a dentist for the people—a passion that has made him both successful and beloved by his patients. His philosophy on providing dental care is to treat every patient as if they were a member of his very own family. As such, he is renowned at our practice for his ability to put people at ease and help them actually enjoy their appointments. Dr. Jobe earned his DDS in 1980 at Ohio State University and enjoys participating in continuing education in the areas of dental implants and Invisalign technology. 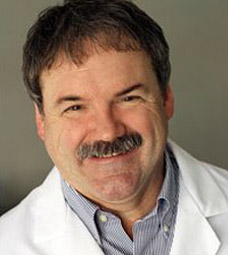 Dr. Jobe permanently relocated to the Manhattan area back in 2003 with his family. If you’re looking for the best dentist in NYC, then look no further than Park 56 Dental . Give us a call at (212) 826-2322 if you’d like to meet Dr. Jobe or any of our other dentists in person, or if you’re interested in scheduling an appointment. Flossing is one of the most powerful actions you can take for excellent oral health, but it also tends to be one of the most neglected. Part of that reason is often because patients simply don’t understand the proper way to floss, and so they give up out of frustration. Check out this quick video for a demonstration of a proper flossing technique and see for yourself just how easy it can be to take charge of your oral health. You’ll also learn about a few products that can make the process even easier, especially if you have braces. For more information about oral health, products, procedures, and treatment options for your smile, contact the top dentists in NYC here at Park 56 Dental . We’ll be happy to bring you in for a cleaning and a checkup where we’ll answer any questions you might have and get you a treatment plan started if needed. Call (212) 826-2322 today. Many people avoid obtaining a beautiful, straight smile simply because of the time investment. Invisalign has revolutionized the world of dentistry and orthodontics because it offers more flexibility and discreetness during that treatment time, but there’s no getting around the fact that repositioning teeth doesn’t happen overnight. However, modern technology, beautiful thing that it is, has produced a method of significantly accelerating tooth movement, leading to more comfortable and shorter treatment times. It’s called AcceleDent . AcceleDent is a truly innovative device that delivers safe and gentle micropulses to the treatment area, stimulating bone tissue and encouraging easier, quicker tooth movement. It is designed to be used in conjunction with virtually any type of orthodontic treatment, and can be used directly over braces or Invisalign trays. The best cosmetic dentists and their patients are absolutely raving about the benefits of AcceleDent. The device has been shown to reduce overall treatment durations by an average of 50 percent. The most impressive period is the initial stage of treatment, where accelerated tooth movement by up to 106 percent has been seen. You literally get to see the first part of your transformation occurring before your eyes, which can be incredibly motivating to stick with your treatment. Some patients have even claimed to be able to feel their teeth moving—it’s that effective! AcceleDent has also been reported by some patients to minimize or eliminate any soreness that accompanies the shifting of teeth. It only requires 20 minutes per day of continuous use, which could easily be accomplished while reading a book, studying, or relaxing with your favorite TV show. AcceleDent has been proven to be a safe method of accelerating tooth movement and is FDA approved as a Class II single use medical device. At Park 56 Dental , we are excited and proud to offer AccleDent to our patients in conjunction with their Invisalign treatment. Contact us today and discover the benefits of choosing one of NYCs top dentists, and the number one provider of AcceleDent in the nation, for your treatment. Call (212) 826-2322 now for a free consultation.